A Pennsylvania minor league baseball team has cut an outfielder after a Texas police department released a video of a domestic violence incident for which the player completed a probationary sentence. 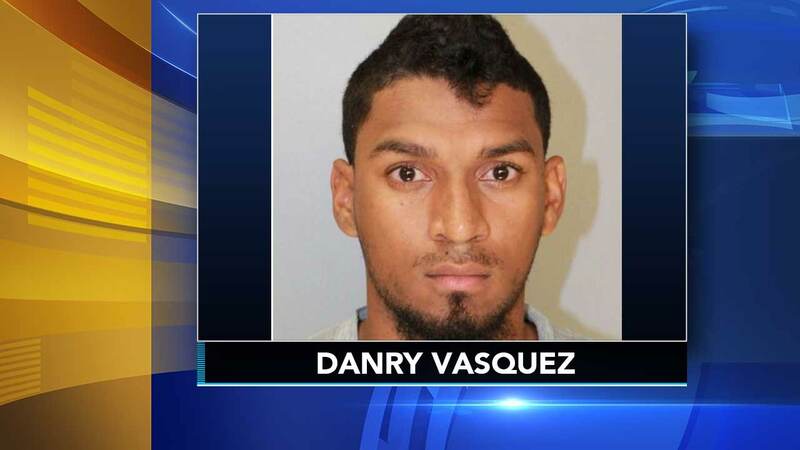 The Lancaster Barnstormers of the independent Atlantic League announced on their Facebook page late Tuesday that they had released 24-year-old Danry Vasquez. That was after Corpus Christi police released to KRIS-TV in Corpus Christi security video of the Venezuelan native slapping and backhanding his fiancee several times in August 2016 at Whataburger Field, home of the Corpus Christi Hooks baseball team. Pa. baseball player cut over abuse video. Tamala Edwards reports during Action News Mornings on March 15, 2018. At the time, Vasquez was a member of the Hooks, Houston's farm team in the Double-A Texas League. Major League Baseball suspended Vasquez indefinitely; independent leagues aren't subject to MLB's authority. Nueces League District Attorney Mark Gonzales told KRIS that Vasquez had completed all requirements of his probation.